Red Eyes in Dogs & Cats – Never Ignore Them! Eyes are beautiful! The many potential colors of the iris simply make them truly stunning to admire. However, there is one color no one wants to see associated with the eyes – red! In this week’s post, I share some information about red eyes in dogs and cats. Happy ready! Red Eyes – What causes them? Patients with blepharospasm look like they are winking at you. Certain disorders cause the eyes to produce discharge. The nature of the discharge provides clues as to the cause of a patient’s red eye(s). 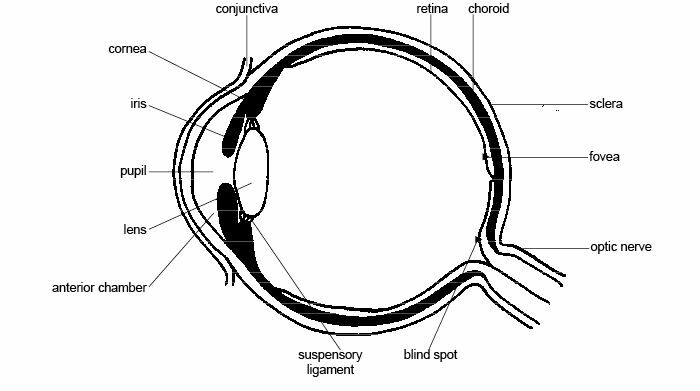 Similarly, various diseases cause the pupil of the eye to change size. The overall size provides clues as to the potential cause of a patient’s red eye(s). Small pupils (called miotic pupils) are associated with anterior uveitis, while dilated pupils (called mydriatic pupils) are typically the result of chronic glaucoma, retinal and optic nerve disorders, and atrophy (shrinkage) of the iris. Red Eyes – What diagnostic tests are needed? 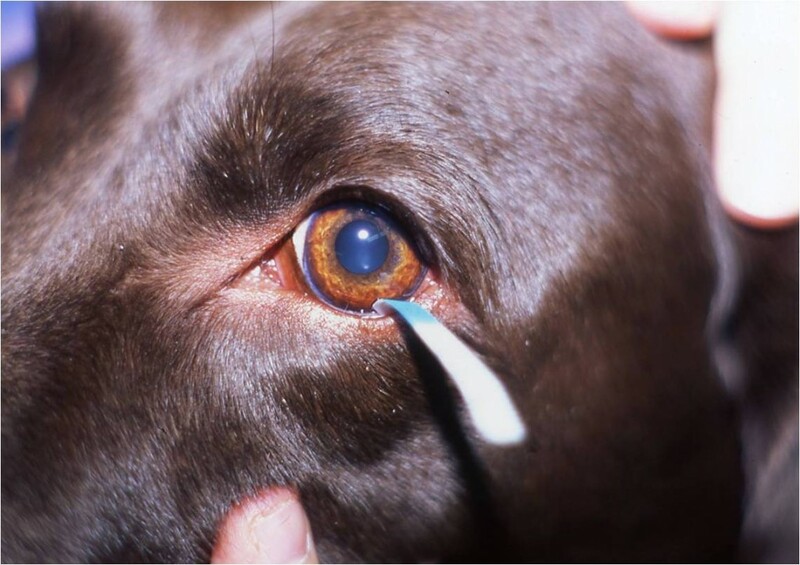 To measure tear production, a veterinarian performs a test called a Schirmer Tear Test (STT). A small test strip is placed within a part of the eye called lower conjunctival fornix. The test strip is left in place for exactly one minute. Tear production is visualized by dye migration down the strip. Impression/Indentation tonometry – measure the depth of a corneal indentation made by a small plunger carrying a known weight; the higher the IOP, the harder it is to push against and indent the cornea. The movement of the plunger is measured using a calibrated scale. 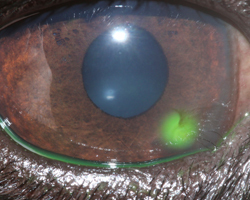 A veterinarian can check for defects in the corneas by applying a special dye called fluorescein. When a lesion like an ulcer is present, the dye is visible with a special light. The eyes are unique organs, and a thorough examination is essential to identify the underlying cause(s) of red eyes. As you have likely figured out, some special instrumentation is needed to perform a proper ophthalmic evaluation. 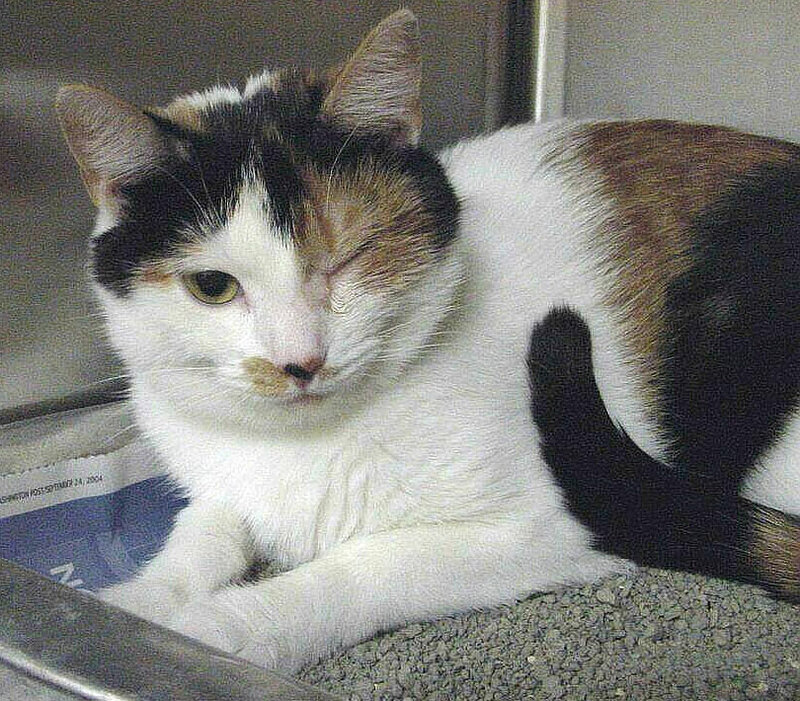 Thus partnering with a board-certified veterinary ophthalmologist is uniquely beneficial for maximizing the preservation of an affected pet’s vision. Red Eyes – How are they treated? Effective treatment of red eyes requires an accurate diagnosis. The medication(s) required for a patient living with glaucoma are vastly different than those for a patient with a corneal ulcer. Your family veterinarian will likely recommend referral to a board-certified veterinary ophthalmologist to ensure your pet receives the most appropriate care. Pet parents should immediately seek veterinary medical attention should they observe red eyes in the fur baby. There is a plethora of disorders that can cause the reddening of eyes. Efficient diagnosis is crucial. 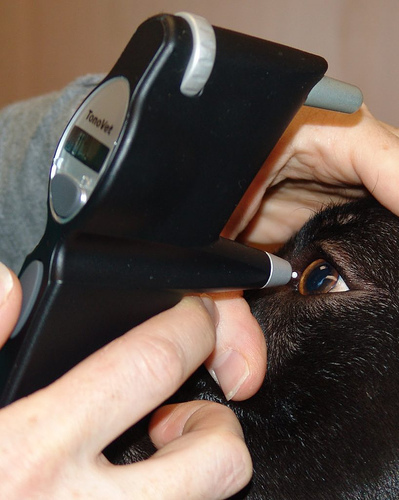 Working with a board-certified veterinary ophthalmologist can help ensure an affected patient is both diagnosed accurately and treated appropriately. To find a board-certified veterinary ophthalmologist, please visit the American College of Veterinary Ophthalmologists.